Die Schule, 1958 gegründet, bietet ganzjährig verschiedene Deutschkurse von hoher Qualität für akademische, persönliche oder berufliche Zwecke. 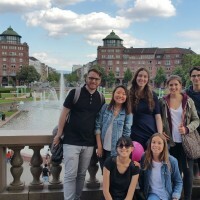 Collegium Palatinum - IH Heidelberg ist Mitglied der International House World Organisation (IHWO) und engagiert sich für hohe Qualitätsstandards in der Sprachausbildung und professionelle Lehrerfortbildung. Neben Standardsprachkursen bietet die Schule auch berufsbezogene Sprachkurse an. Dank der Teilnehmer aus aller Welt ist die Atmosphäre in der Schule sehr international und das Lernen macht Spaß. Die Schule ist in der historischen „Villa Krehl“, untergebracht, 20 Minuten zu Fuß vom Stadtzentrum. 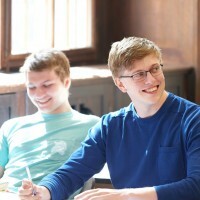 In den Sprachkursen vom Collegium Palatinum sind Kultur- und Freizeitaktivitäten enthalten. Die Schule bietet Unterkünfte in Gastfamilien und in einem Studentenwohnheim. "I really like this school, teachers are very prepared and available to all of our questions; classes..."
Buche Deinen Sprachniveau Über LanguageBookings.com Und Kaiserhymne Einen Rabatt von 6 %! This course is suitable for participants who want to learn German and learn about the German culture and country. We follow an interactive approach with additional exercises to help participants practise the language. We offer cultural activities in the afternoons or at weekends, about three times a week. Courses start every Monday. Absolute beginners start once a month. This intensive German language course is suitable for participants who want extra practice in addition to the standard lessons. Participants do an extra hour of exercises per day to practise. 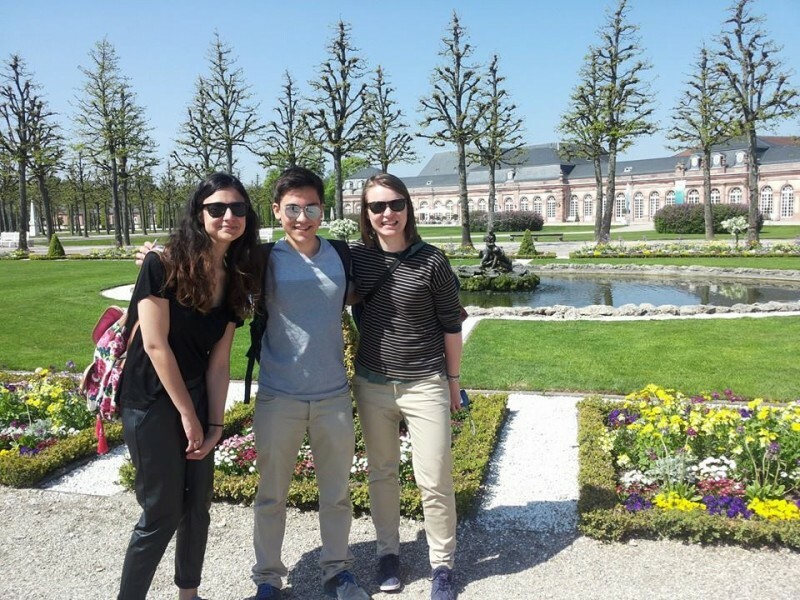 The course includes cultural activities in the afternoon or at the weekend so that students can fully immerse in the German language and culture. This German language course is suitable for participants who want to learn the language at a more intensive rate. In addition to the five lessons of the intensive course 25, there is an extra lesson in the afternoon for students to practise in a small group. This course is also recommended for participants who require additional training before a language exam. 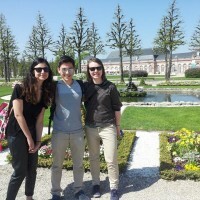 The course includes cultural activities in the afternoon or at the weekend. This course is a combination of 20 group lessons and 5 one-to-one lessons per week. Participants benefit from interaction in a group and intensive private lessons. This TestDaF Preparation online course was developed by the TestDaF Institute and successfully prepares participants for the TestDaF exam. The course requires advanced German proficiency at a B2/C1 level. The course module is accessible for six months and participants have intensive tutor support for one month. The TestDaF online preparation provides: - information about the test format & time limits - training in all sections: reading, writing, listening & speaking - authentic practice tests - discussion of typical exam questions - a tutor available for any questions concerning the TestDaF The TestDaF exam is the most important German language test for foreign university applicants. This exam paves the way to university studies and is recognized by all German universities as proof of language skills. The TestDaF levels 3, 4, & 5 are equivalent to the B2 & C1 levels of the Common European Framework for Languages. The university preparation programme was designed for students who plan to study in Germany. 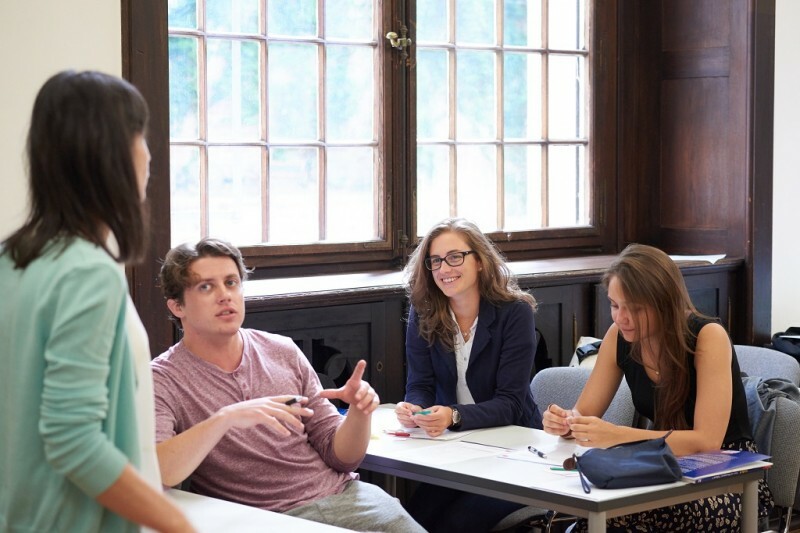 It prepares students linguistically and familiarizes them with the academic procedures at German universities. The program includes the following modules: - German language courses on level B1, B2 and C1 - Online course to prepare for university studies on level B1 or B2 - TestDaF preparation course - Study guidance: check of your academic documents, profile analysis, individual study advice, four applications at German universities The courses and time-frame of the programme are tailored to comply with the minimal requirements for the TestDaF (Grade: 3). 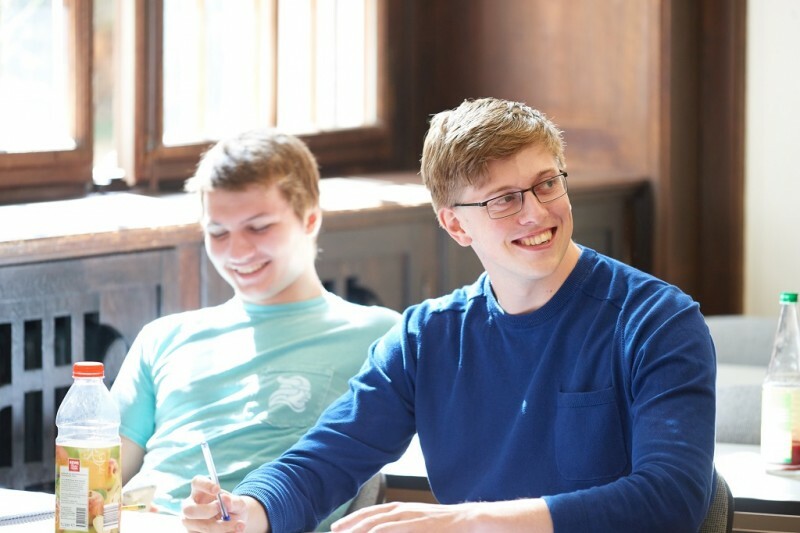 Terms of admission vary significantly according to field of study and university, and could require a longer programme (up to 3 months longer). Please contact us for advice. Single apartment in a student residence with own kitchen and bathroom. The state-of-the-art student residence is located in Heidelberg's newest, trendy Bahnstadt quarter. The modern apartments (about 21m²) are fully furnished with a built-in kitchen and bathroom. 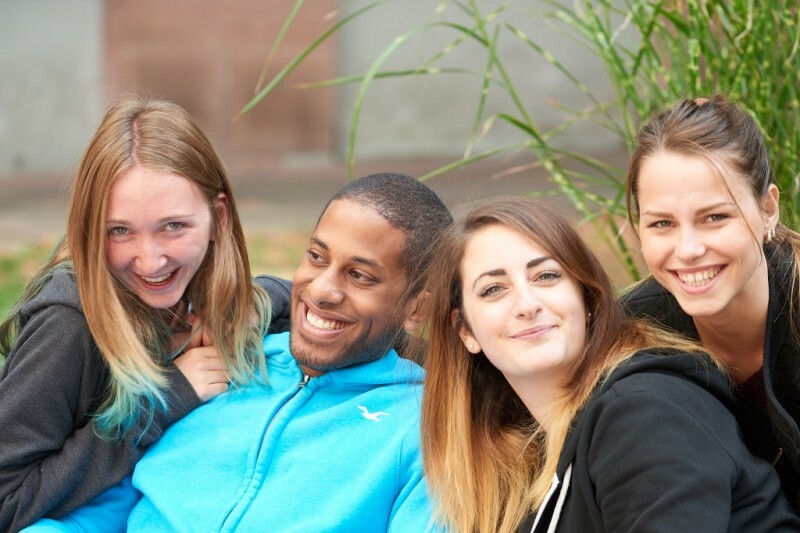 Students of Collegium Palatinum - IH Heidelberg have the option of choosing between a single or a shared apartment. There are several public areas within the complex, including rooms for socializing, studying with friends, cooking and relaxing. There is a TV lounge, a modern fitness room, etc. Single room in an apartment with two bedrooms, with own kitchen and shared bathroom. The state-of-the-art student residence is located in Heidelberg's newest, trendy Bahnstadt quarter. The modern apartments (about 21m²) are fully furnished with a built-in kitchen and bathroom. 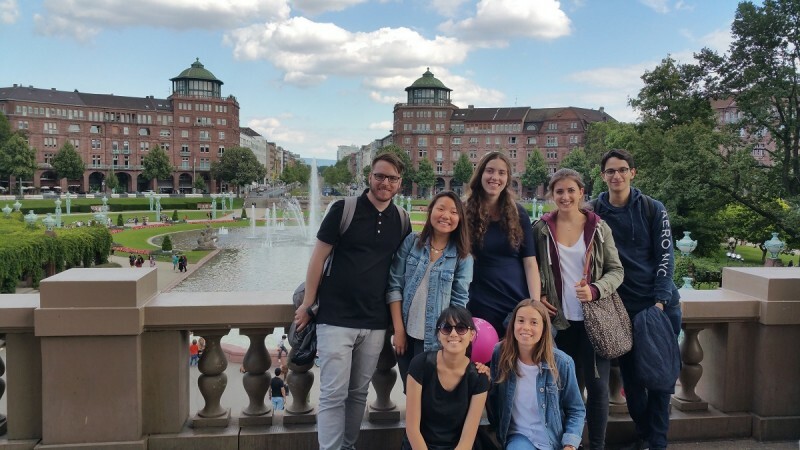 Students of Collegium Palatinum - IH Heidelberg have the option of choosing between a single or a shared apartment. There are several public areas within the complex, including rooms for socializing, studying with friends, cooking and relaxing. There is a TV lounge, a modern fitness room, etc. Nehmen Sie am Alltag unserer sorgfältig ausgewählten Gastfamilien teil. Sie werden in die deutsche Lebensweise und Kultur eintauchen und gleichzeitig Deutsch üben. Sie bekommen Frühstück in der Gastfamilie. Entfernung Vom Flughafen: 80 km. - Dienste müssen vollständig bezahlt werden 30 Tage vor dem Kurs beginnt um die Anmeldung abzuschließen und sichern Sie sich einen Platz im Kurs und/oder Unterkunft. - Für den Fall, dass dem Teilnehmer ein Visum verweigert wird, berechnet die Schule 200 Euro und der Restbetrag werden dem Teilnehmer nach Erhalt eines original VISA-Verweigerung-Briefes zurückerstattet. 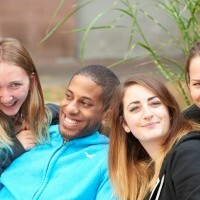 Bei Anmeldung schickt Collegium Palatinum – IH Heidelberg dem Studenten ein Annahmeschreiben. Um die Buchung zu bestätigen, muss der Student eine nicht erstattungsfähige Anzahlung von 200 € leisten, die mit den Kursgebühren verrechnet wird. Der Gesamtbetrag ist bis 30 Tage vor Kursbeginn zu zahlen. Bei einer späteren Anmeldung sind die gesamten Kursgebühren bei Erhalt des Annahmeschreibens fällig. Die Letzte Buchung Für Diese Schule Krieg aus Saudi Arabia Und saved 42,00 €!